Switzerland in the winter, heaven in the Summer, Vacation Hotel Beit Oren in the nature of things. 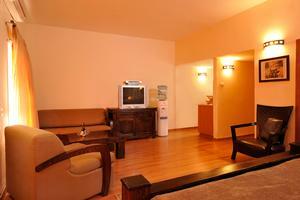 The Beit Oren Vacation Hotel offers a variety of rooms and suites. Beit Oren Vacation Hotel accommodates the vacation needs of families, couples, and groups with not only the peaceful environment, but with a choice of added attraction and activities. Your days may be filled with a fine combination of services from a luxurious spa for pampering the body and soul with holistic treatments, time in the jacuzzi, or in the Finnish sauna. To add some adventure we'd be happy to set you up with some great options in our area. Romantic holiday, or family vacation is sure to satisfy you with a great taste of the outdoor beauty of Israel's Carmel coast region. For every season around the year, there is a sight to see. The Beit Oren vacation hotel guest rooms features air conditioned double rooms and family suites with small refrigerator, T.V. and satellite viewing. *Specious Lodging Room Small refrigerator, T.V. 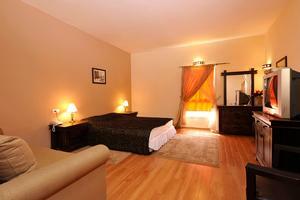 + satellite, coffee making facilities, jacuzzi bath. Accommodates up to 5 guests. 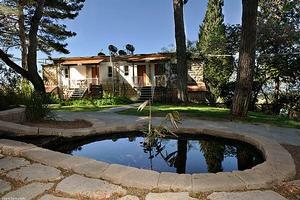 Vacation Hotel Beit Oren is situated in the heart of the Carmel Mountains in Kibbutz Beit Oren. picturesque view of their green forest that drapes over to the Mediterranean Sea. To add some adventure we'd be happy to set you up with some great options in our area. From Carmel Hai Bar Nature reserve, tracking through Nahal Mearot Caves Bike trips, jeep tours, paint ball action,horse back riding, your group needs. The Carmel Coast has the splendorous Mediterranean Beach Beauty to be enjoyed by all, the bird watching of migrating birds in the autumn months, the glorious rich green forest of winter, and the breathtaking beauty of the Israel's wild flowers in the spring- all at the tip of your toes at Beit Oren.